Tampa Bay defeated the Flyers 4-2 last night behind 19 saves from their otherwise terrible backup goalie, Anders Lindback (.876 SV%, 3.26 GAA in 2013-2014), dropping the Flyers to 10-12-2 this season, having now faced the opposing team’s backup goalie 24 times. Actually, they’ve only faced backup goalies as the opposing team’s starter 8 times this season and are 4-3-1 against them (meaning the Flyers are 6-9-1 against the opposing team’s #1 goalie), which is one more time than the Flyers have started their own backup goalie Ray Emery against the opposing team. Steve Mason may have #1 numbers this season, though, but he wasn’t a clear #1 before this season (at least not since 2008-2009). The 2012-2013 Chicago Blackhawks won a Stanley Cup with Ray Emery starting 19 of 48 regular season games with the same exact GAA (1.94) and almost the same exact SV% (.922 vs. .926) as $36 million man Corey Crawford, don’t forget. So the Flyers starting Emery rather than Mason against Pittsburgh a few weeks ago may have been somewhat surprising, but it wasn’t worth reading as disrespectful to their opponent the same way that Pittsburgh starting Jeff Zatkoff rather than Marc-Andre Fleury against Florida a few weeks before that would have been. The fact that the Flyers have faced their opponent’s #2 in 33% of their games may therefore be more meaningful than the fact that Flyers opponents have faced Ray Emery 29% of the time. 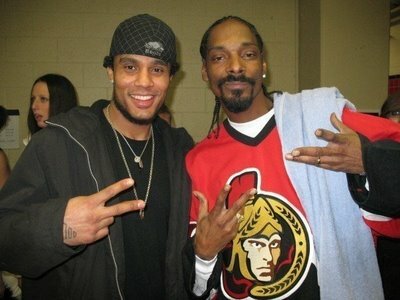 Ray Emery just isn’t that bad. Are opposing teams really disrespecting the Flyers, though? How does the Flyers’ percentage of opposing backup goalies faced compare with that of the bottom-feeding Sabres (5-20-1 for a league-worst 11 points, five behind the Oilers, and who have already been outscored by an amazing 37 goals) or the 18-4-4 Blackhawks, who lead the NHL with 40 points (though not in points percentage, as the Blues at 18-3-3 in two fewer games are slightly ahead)? Remember, the Flyers have started their #1 in 17 of 24 games and have faced their opponent’s #1 in 16 of 24 games. The bottom-feeding Sabres have started their #1 Ryan Miller in 19 of 26 games and have faced their opponent’s #1 in 18 of 25 games– slightly more than the Flyers. The defending champion Blackhawks, on the other hand, have started their #1 Corey Crawford in 21 of 26 games and have faced their opponent’s #1 in 23 of 3 games. In fact, even the backups the Blackhawks have faced this season have explanations behind them: the Islanders Kevin Poulin (Nabokov isn’t that good), Winnipeg’s Al Montoya (the Blackhawks had just lit up the Jets’ #1 Ondrej Pavelec a few nights earlier, plus Pavelec isn’t really that good either– he’s comparable to Flyers backup Ray Emery), and Nashville’s Marek Mazanec (who is their clear #1 with Pekka Rinne injured; Carter Hutton is actually their backup). Are the Flyers truly closer to the Sabres than they are to the Blackhawks? Possibly, though they’re not especially close to either. It’s worth noting in the Flyers’ case that three times this season they faced backup goalies because the #1 goalies were injured (Cam Talbot of the Rangers when Lundqvist was injured, Justin Peters of the Hurricanes when Cam Ward was injured, and Kevin Poulin and subsequently Anders Nilsson in relief when Nabokov, who isn’t that good to begin with, was injured). The Flyers also faced both Craig Anderson (the nominal #1) and Robin Lehner (the nominal backup, who has outplayed Anderson this season and may soon be the #1) of Ottawa a few days apart and managed to beat them both, 5-0 and 5-2, respectively. Lindback over Ben Bishop is somewhat less explicable from the Flyers’ perspective but still defensible from Tampa Bay’s: Bishop had played two nights before against the Rangers, followed by an off night; the Lightning are off today and will play Pittsburgh tomorrow, so if you rank both the Rangers and Penguins above the Flyers (I would) and start Bishop against both of the better teams (I would), Lindback against the Flyers makes sense (and did for Tampa, who won 4-2). A few other notes: some teams have co-#1 goalies, or no #1 goalie, rather than one dominant #1, and other teams have excellent backups who could be #1 goalies if they were traded. For example, Toronto (Reimer/Bernier) has co-#1’s for these purposes (the Flyers, Sabres, and Blackhawks all faced Bernier; none of these teams faced Reimer). Martin Brodeur is probably still New Jersey’s #1 (15 starts vs. 10 for Cory Schneider, who has better numbers), though that may (and I think should) change at some point this season. St. Louis was formerly in this category as well but Halak (19 starts) has clearly (and rightfully) pulled ahead of Elliott (5 starts). Conversely, Calgary had no dominant #1 to begin the season, running through Joey McDonald and Karri Ramo before ending up with Reto Berra, who seems like the pretty clear #1 at the moment, though that may change (Berra faced the Blackhawks twice, including his NHL debut, which he won 3-2 in OT). Also, the fact that Ryan Miller (33) has played almost 3 times as often as Jhonas Enroth (25) for the tanking Sabres suggests to me that he’s being showcased. Knowing Holmgren, Miller could end up as a Flyer within the next few months, in exchange for anyone from a Schenn brother (please let it be Luke) to Claude Giroux, with John Scott thrown in to “upgrade” Jay Rosehill. The Flyers don’t rebuild, they just retool. Did you know Steve Mason is less than a month older than Jhonas Enroth? This entry was posted on November 28, 2013 at 5:16 pm and is filed under Flyers-related. You can follow any responses to this entry through the RSS 2.0 feed. You can leave a response, or trackback from your own site.